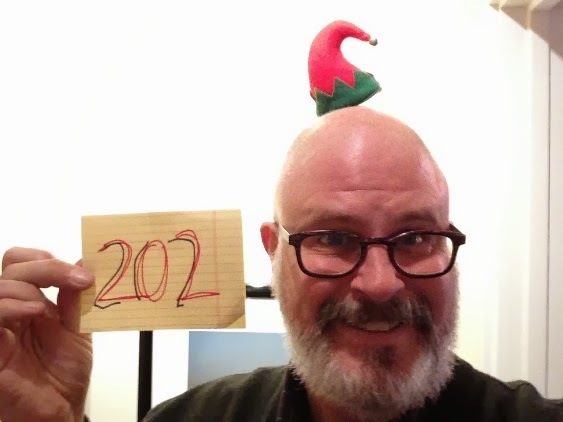 Dry 202 / Hat 202: Red and green felt elf cap barrette with jingle bell detail. Loaned to the Project form the Bride's accessories vault. "Let it never be said that I can't find something to buy in any corner of the world," notes the Bride. It should be noted that as I lack anything hair-wise for the barrette to clip to, this photo required the use of a quite long -- and painful to remove -- strip of Scotch brand cellophane tape.